Just as in red wines, tank geometry is also important in white wine production. In the production of red wines one wants a balance of diameter to height ratio that allows the thinnest possible cap to promote good skin contact. In white wine production cap management is replaced with thermo management issues. In order to produce fruity aromatic wines such as Riesling, Sauvignon Blanc, and other white and rose’ one need to be able to tightly control the fermentation temperature to allow a slow fermentation to keep aromatic compounds in solution.To do this many winemakers employ the use of jacketed tanks with a 1:2 to 1:5 ratios. This is to insure a large chilled surface to volume ratio. Tanks over 1:3 ratios, depending on volume require seismic bracing, on site fabrication, high ceilings, if indoors and last but not least large cooling jackets. Another issue that is seldom mentioned is as the diameter to height ratio gets larger the lees bed gets thicker. This can be a real problem on long fermentations where the dead yeast cells become compacted and start to breakdown. One way to resolve the lees problem is to stir the lees bed with an agitator. This also lends to more complex wines and better mouth feel. Again the problem is that with a tall narrow tank it is almost impossible to efficiently distribute all the lees. 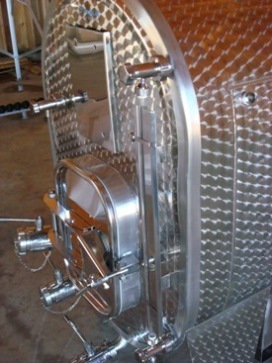 Oval tanks have been long used in Europe, especially in Germany for the production of white wines. They take up less room then a comparable size cylindrical tank; have larger bottom surfaces for a thinner lees bed. 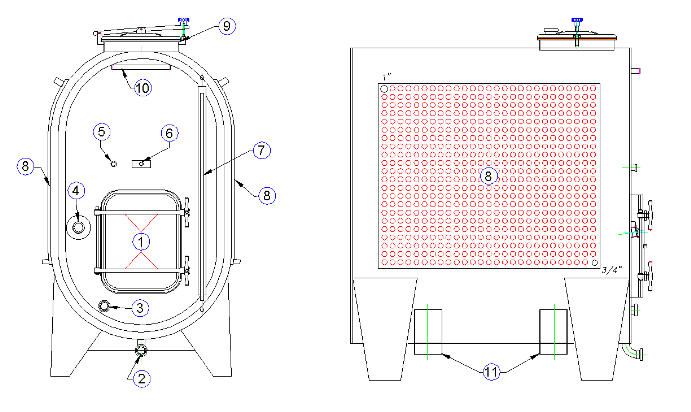 The semi circular bottom of the oval tank allows efficient and complete agitation of the lees throughout the fermenting juice. 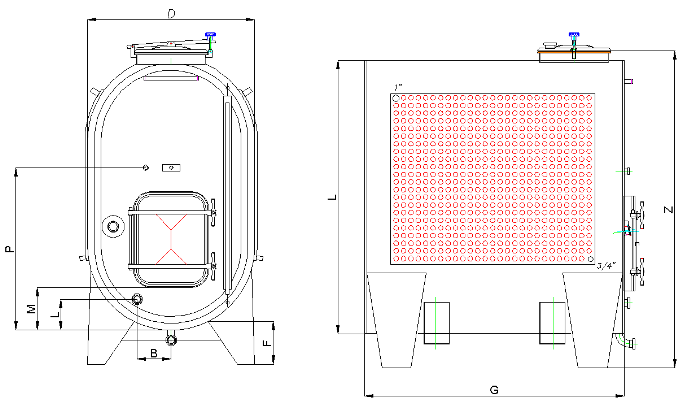 The narrow width of the oval tank promotes very efficient cooling equivalent to typical cylindrical tank having five times the cooling surface. This is a big savings in cooling loss due to less active surface area.